Equal to my love of food in general is my love of two specific food groups – pasta & cheese. This post is focused on the former. My mom, sister & I recently attended a fabulous cooking class from the Boise Co-Op - ‘For the Love of Pasta’ – with instructor Sylvie Ryan. It was held at the very cool kitchen in Pottery Gourmet on Bannock.Fabulous class, great setting, and a superbly engaging instructor. While it wasn’t a full-on, hands-on cooking class, Sylvie kept us engaged, full of yummy pasta, and inspired to explore new techniques, toppings and treatments. While I always yearn to create homemade gnocchi like those I’ve had in gourmet locales that are like ‘delicious pillows of goodness’, my results usually turn up tasty but more hefty. 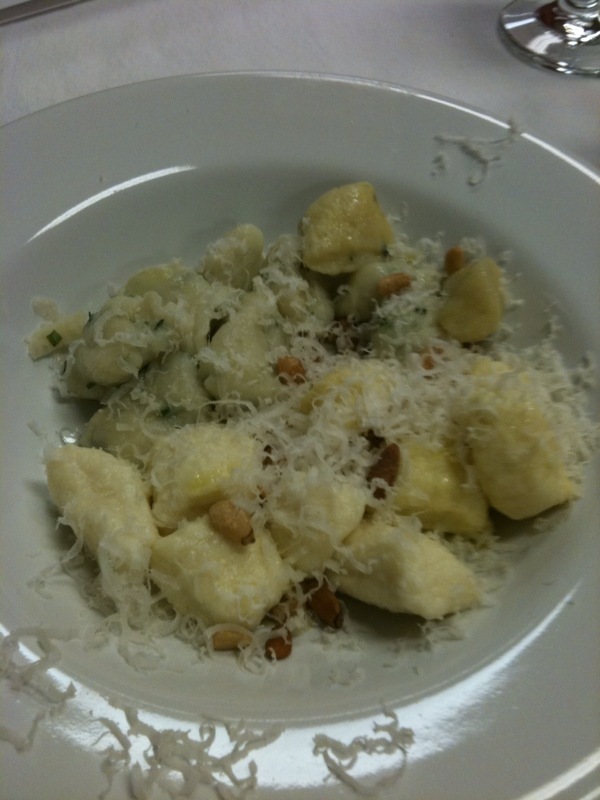 So while I enjoyed the traditional potato gnocchi, Sylvie’s take on Quick Riccotta Gnocchi rocked. Simple ingredients: 2 cups drained Ricotta, 1 egg yolk, 1/4-1/2 tsp fine sea salt, 1/4 cup Parmigiano Cheese freshly grated, 1/2 cup all-purpose flour. Simple yet sublime, especially when topped with toasted pine nuts, infused olive oil and basil. Have to admit my gnocchi didn’t turn out as ‘fluffy pillows of goodness’ (as I like to refer to really rockin’ gnocchi as). 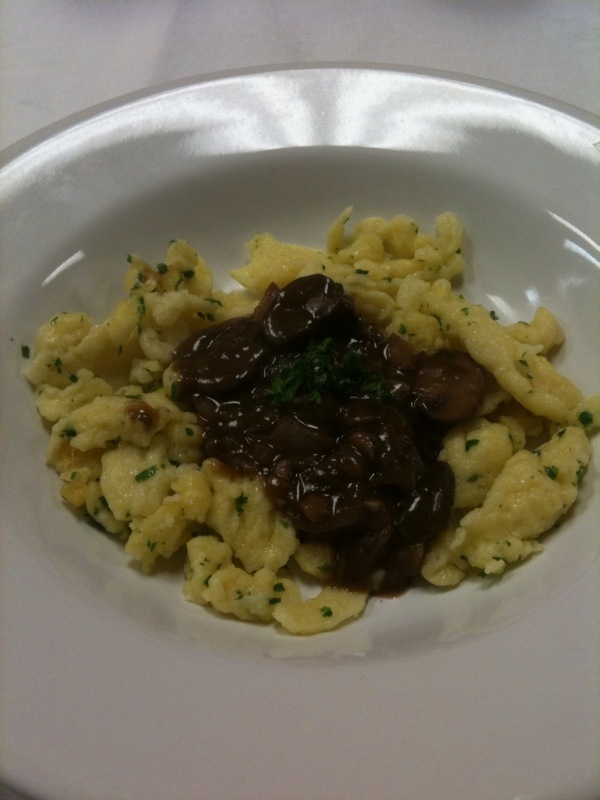 But – topped with some nummy balsamic brown butter sage sauce they were substantial yet delicious. Heck – putting brown butter anything ON anything makes it taste awesome. I’m wondering if they held their shape – and their firmness – due to the lack of potato. 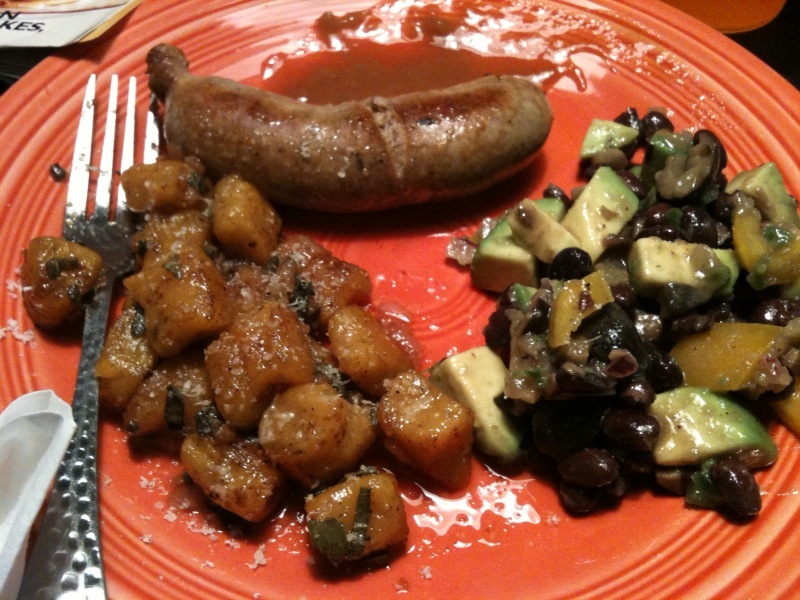 Previous butternut squash gnocchi I’ve made has included some aspect of potatoes. These – just flour to bring it to a dough consistency. 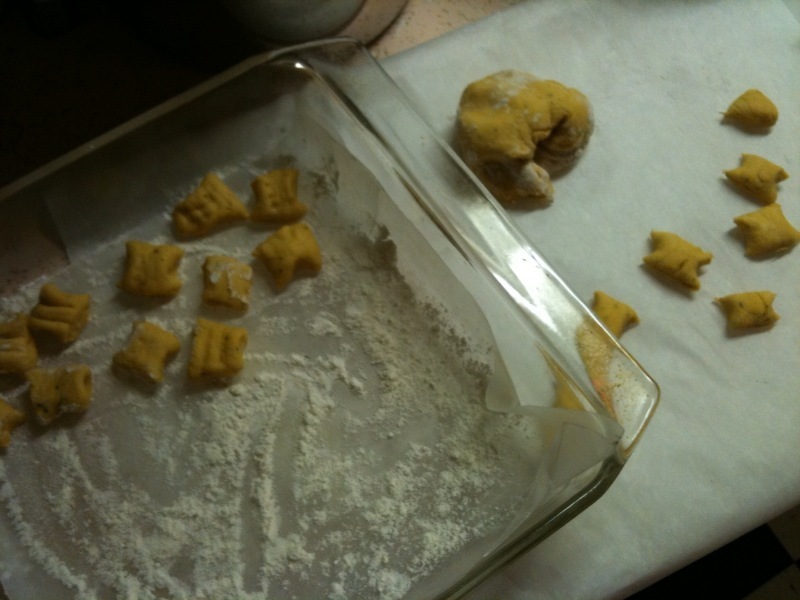 I have no problem continuing on my quest to make the perfect gnocchi.